WASHINGTON – Glendale Mayor Jerry Weiers told a Senate committee Wednesday that unless Congress acts to block a Tohono O’odham Nation casino in his city, residents should prepare for widespread Las Vegas-style gaming throughout the Valley. 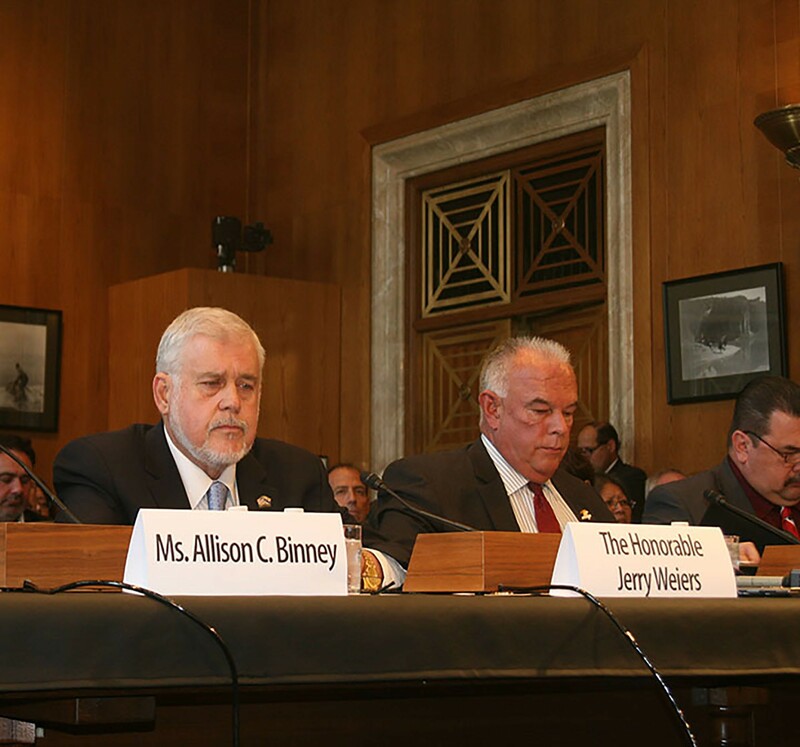 Weiers told the Senate Indian Affairs Committee that the planned West Valley Resort and Casino could be just the start of a new wave of tribal and privately owned gaming facilities in communities across Maricopa County. 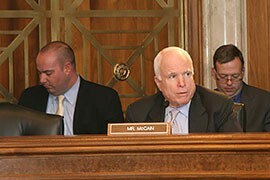 He was in Washington to support the Keep the Promise Act, a bill sponsored by Arizona Sens. Jeff Flake and John McCain to prohibit gaming on the tribe’s Glendale property until 2027, when a current gaming compact expires. McCain said that when Congress authorized Indian gaming, it did not envision off-reservation casinos like the Glendale facility. “It was never the intent … to have non-contiguous Indian gaming air-dropped in the center of a city,” McCain said. “If enacted, this legislation will effect a profound injustice upon the Tohono O’odham Nation, one that will besmirch the United States’ honor and set a terrible precedent for its relationship with Indian Country,” he said. 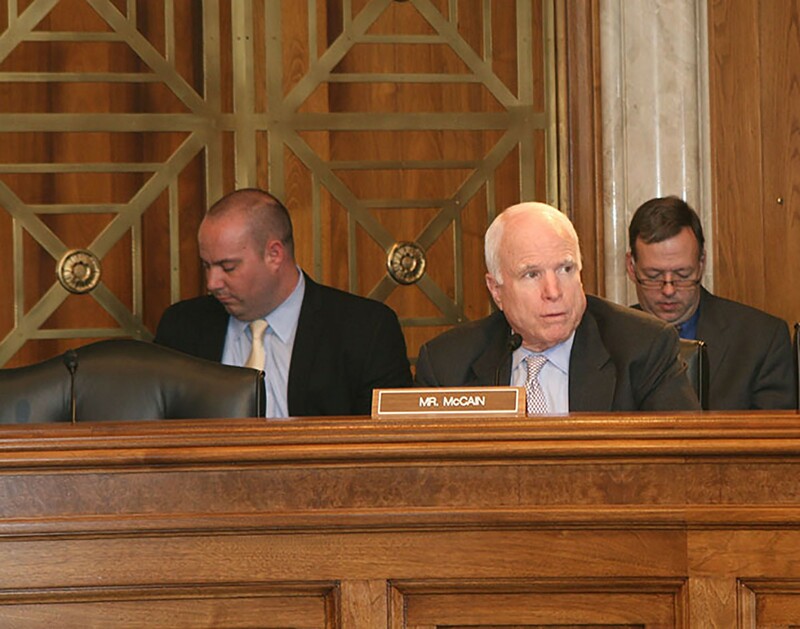 McCain questioned whether the Tohono O’odhams are “impoverished,” pointing to information that the tribe generates annual gaming revenues of $68.2 million, a figure Norris declined to confirm. 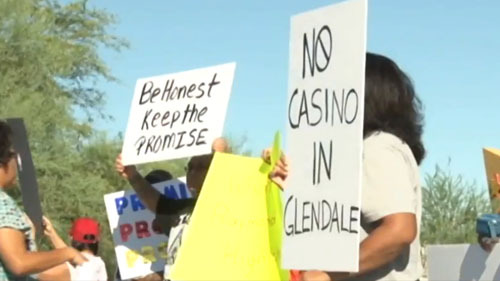 Mendoza and other tribes that own casinos in the Valley have said that the Glendale casino plans break a promise the Tohono O’odhams made to other tribes not to build a casino outside their reservation. They said that promise came during negotiations over the current Indian gaming compact, approved in 2002, that limits casinos in the Valley. Weiers said the public “felt blindsided” when the Tohono O’odhams announced in 2009 they would build a $400 million casino resort on non-reservation land the tribe bought in Glendale. After losing repeated court challenges to the Tohono O’odham Nation, opponents asked Congress to step in. Weiers said Wednesday that he was expressing his personal view on the casino and not the official position of the city council, which voted 4-3 in July to repeal its earlier opposition to the project. That vote came after tribal and city leaders reached agreement on a plan that will generate more than $25 million in revenue for the city over 20 years. It paved the way for tribal and city leaders to break ground on the project last month. Weiers, who served in the Arizona Legislature before he was mayor, said he believes if the Glendale casino is allowed to go forward, non-Indian gaming interests will lobby the Legislature to expand gaming to other parts of the Valley. “This is just the nose under the camel’s tent,” he said. With just weeks left in the current Congress, however, the bill’s fate is anything but certain. Mendoza declined to say what additional steps he and other opponents might take to try to stop the casino if the bill fails. 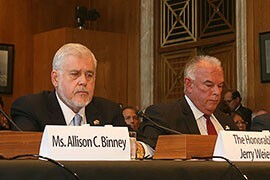 “This is the recourse,” he said after the hearing, gesturing toward the front of the committee hearing room. A Senate committee considered a bill to block the Tohono O'odham casino - and any others in the Valley for now. Cronkite News' Justin McDuffie reports from Washington. Glendale Mayor Jerry Weiers, left, called on Congress to block a Tohono O'odam casino in his town, saying the casino would open the door to widespread Las Vegas-style gaming in the Phoenix metro area. Arizona Sen. John McCain told other members of Senate Indian Affairs Committee thatt Congress never intended for tribes to build off-reservation casinos like the Tohono O'odham Nation's planned Glendale resort.